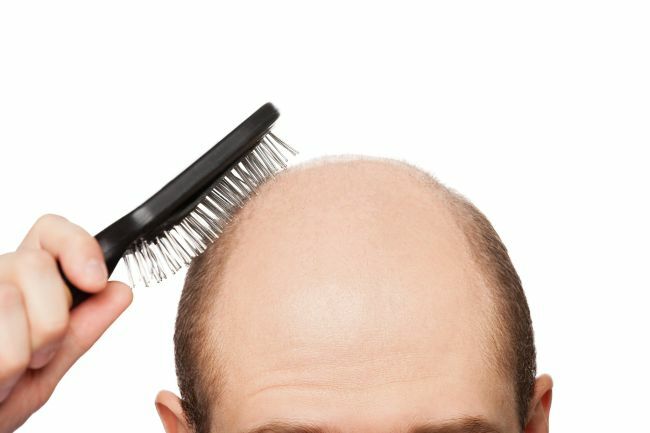 The number of Korean men seeking treatment for hair loss is seeing an annual increase of approximately 4.8 percent, according to the Health Insurance Review & Assessment Service in Seoul. The institution said the number of patients increased from 180,000 in 2009 to 210,000 in 2013. They spent 12.2 billion won ($11.88 million) for their treatment in 2009, and 18 billion won in 2013. About 30 percent of the patients are in their 30s and 40s. “Hair loss can have many causes,” officials of the organization said in a statement. One of the drugs available in Korea to treat male pattern baldness is Propecia by American pharmaceutical company Merck & Co. The synthetic drug, also known as Finasteride, treats the first type of hair loss by blocking one’s production of dihydrotestosterone. Some of its side effects may include depression as well as sexual dysfunction. “I decided not to take (the drug) because I didn’t want to take the risk, as many people I know have experienced the sexual side effects,” said a man in his 30s who is experiencing hair loss. He wanted to remain anonymous. Other types of hair loss include alopecia areata, better known as “spot baldness.” It is a condition in which hair is lost from certain areas of the body, usually from the scalp. According to the Health Insurance Review & Assessment Service, the condition is cured naturally 80 percent of the time, but may spread to the entire scalp in rare cases. According to the institute, a healthy individual normally sheds some 50 to 70 strands of hair a day. Those who lose more than 100 strands daily are advised to seek treatment.